Play in the sun all day and keep the red away with Doggles Pet Sunscreen in Tropical Scent! Humans need sunscreen, so why wouldn't our pets? Noses, ears, and areas with minimal fur are vulnerable to harmful UV rays. Protect your pet from burns and even skin cancer with this pet-safe formula! Most human sunscreens contain ingredients that are toxic to dogs and cats. 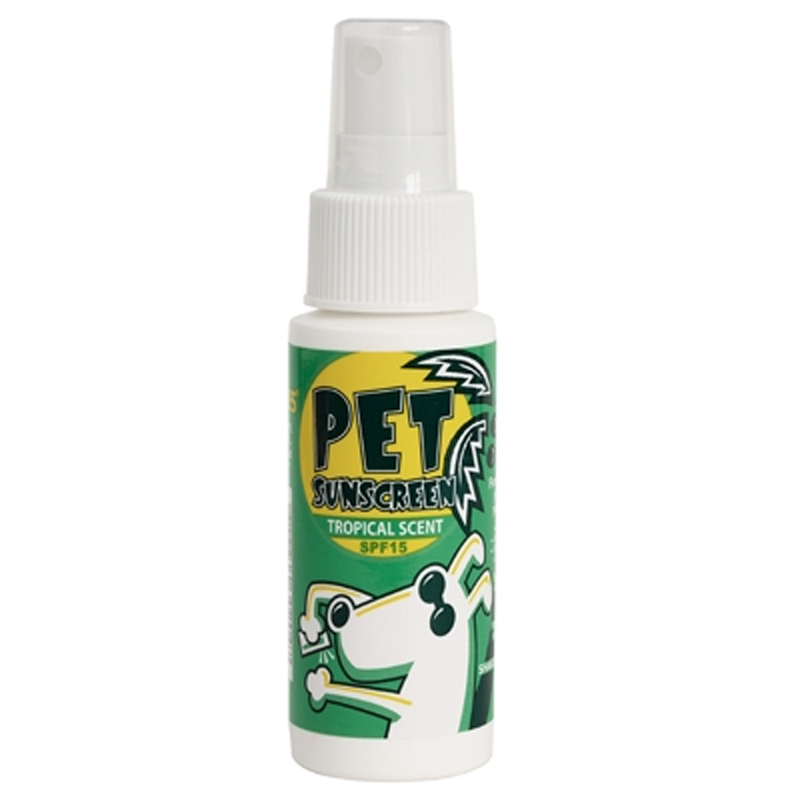 Choosing this pet sunscreen by Doggles is a great way to ensure your best furry (or furless) pal is safe. To use, shake well. Spray some in your hand to apply on areas near the eyes (such as ear tips and noses.) 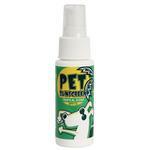 Spray liberally on hairless pets or areas with thinning fur. Don't forget to cover the abdomen where the fur is thin. After all, rays reflect up from sidewalks, sand and snow. Reapply as necessary. You can rest assured that your pet is safe from the sun's harmful rays. Made in the USA. Doggles Pet Sunscreen - Tropical Scented Customer Photos - Send us your photo! Great selection and often find great deals!